In a world full of large format mixing consoles, there is still room for small-format mixers that can handle a variety of sound jobs quite easily. 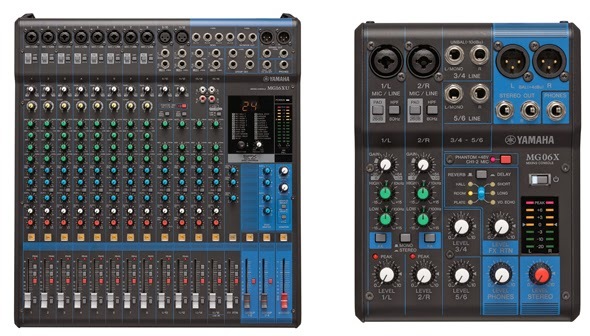 Recently Yamaha released their latest, redesigned, MG Series mixing consoles to the market. Below are a few sample pictures of 3 models available. Looking for help recording from MG16xu to Garage Band. (sorry if double post can't see last one) Any help appreciated. Upon inspection of the Yamaha MG16xu mixer on the web site, I found out that when you buy that mixer you get a downloadable version of Steinberg's Cubase AI - DAW software. Nothing mentioned about being compatible with Garage Band. 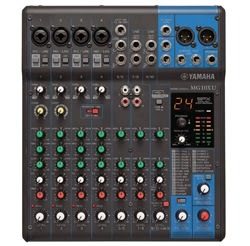 I have sent an inquiry email to Yamaha about that setup. I will post response once I receive it.